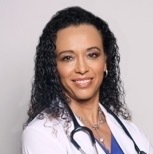 Dr. Mylaine Riobe, a Board-Certified Medical Doctor and specialist in traditional Chinese medicine and Integrative medicine of the Riobe Institute of Integrative Medicine in Stuart, Florida joins eHealth Radio and the Cancer Prevention & Health News Channel. Dr. Riobe shares cancer prevention tips you won’t hear about at your conventional doctor’s office. How is cellular based testing different than blood work? How can you know what testing to obtain? Why is TCM important in this process? Why not just get testing based on symptoms? How does functional medicine help with cancer prevention and treatment? Dr. Mylaine Riobe, a Board-Certified Medical Doctor and specialist in traditional Chinese medicine and Integrative medicine of the Riobe Institute of Integrative Medicine in Stuart, Florida joins eHealth Radio and the Health News Channel. Dr. Riobe is here to discuss how functional medicine provides answers your blood work never will. How is it used in the Riobe method? Why is blood work often normal despite significant symptoms? How can we get to the root of symptoms if blood work is normal?